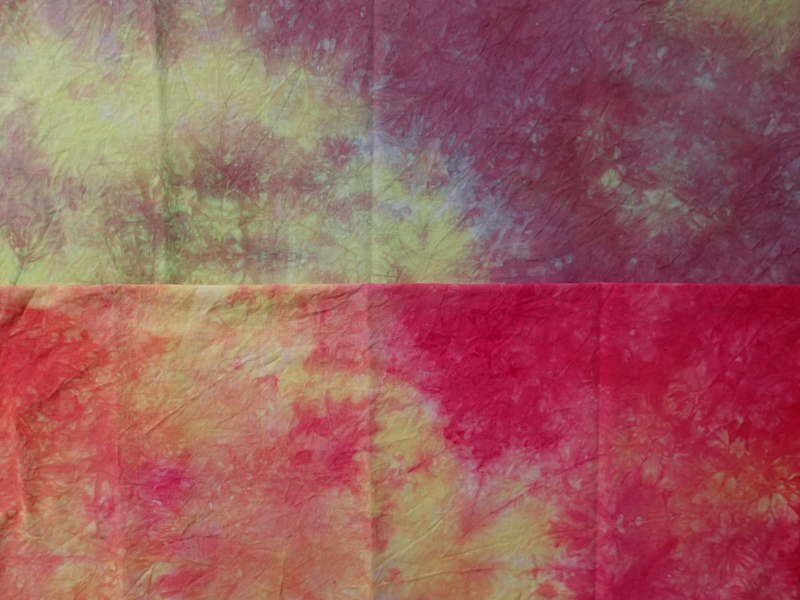 I wanted to show you a few more samples from my fabric dyeing sessions. Blues and greens. The colors remind me of sea glass. 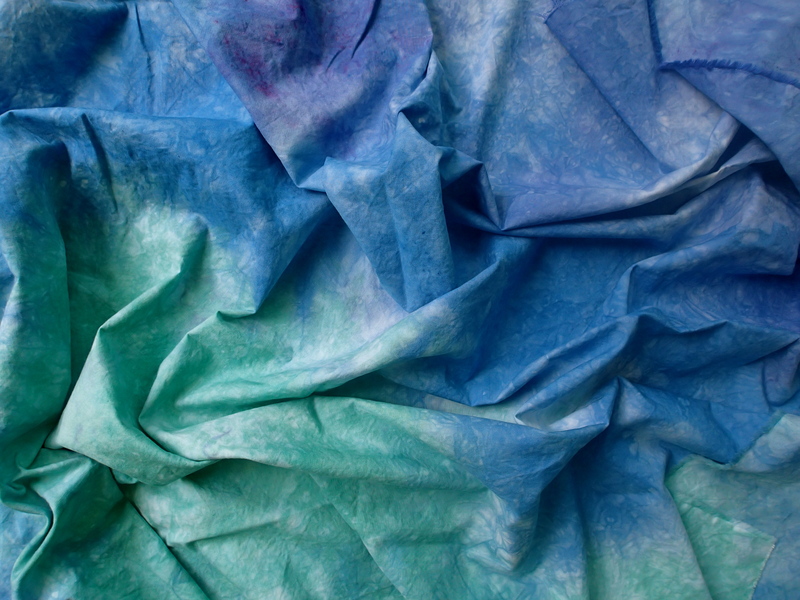 All those shades of blue, green and purple are on one piece of fabric. I also played around with yellows, reds and purples, on two separate pieces of fabric. 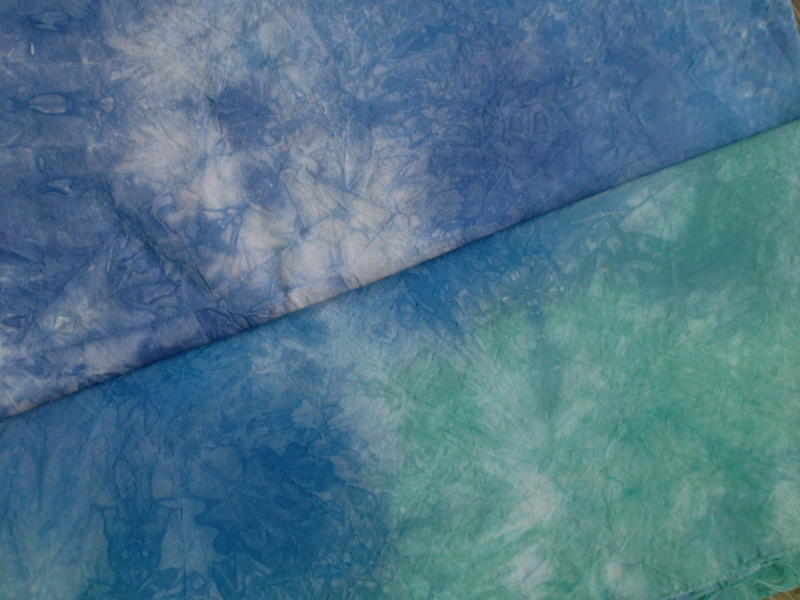 I am really looking forward to the new dyeing classes coming up in the Fall!